The first three areas are the major source of log information. 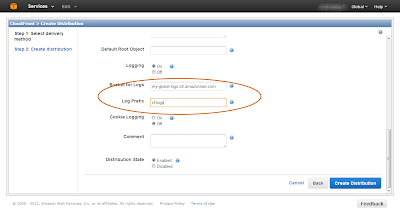 Your CDN provider will provide access logs in a standard format with information such as the edge location serving the request, the client IP address, the referrer, the user agent, etc...The web servers and search servers will write access logs, error logs and application logs (custom logging by your application). 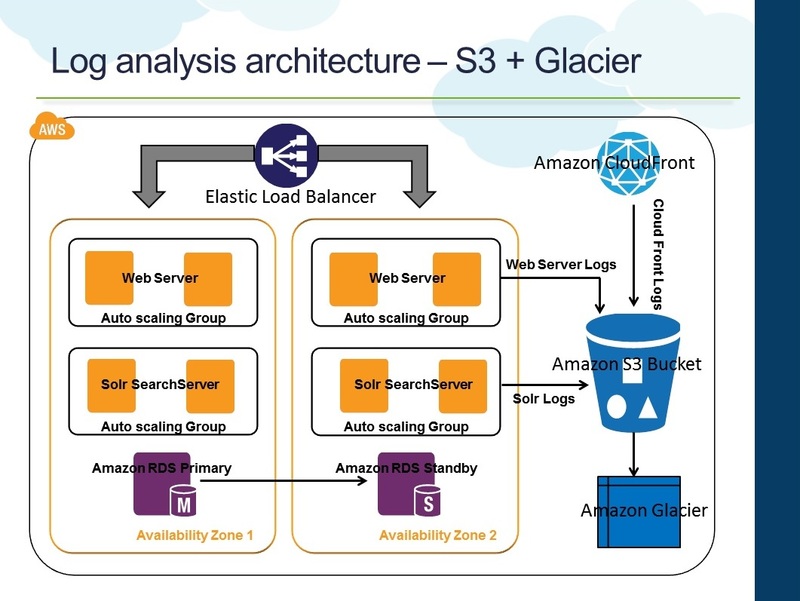 In AWS, Amazon S3 becomes the natural choice for centralized log storage. Since S3 comes with unlimited storage and is internally replicated for redundancy, it will be the right choice for storing the log files generated by the CDN provider, web servers and search servers. Per above architecture, all of the above tiers will be configured/setup to push their respective logs to Amazon S3. We will evaluate each layer independently and look at how to setup logging and the different considerations associated. 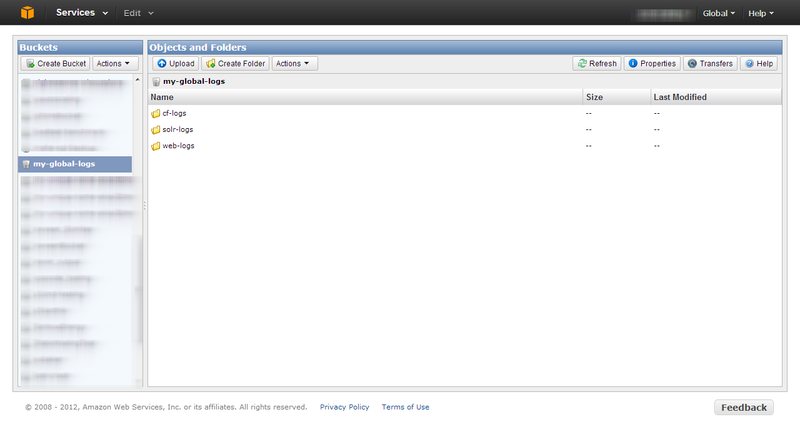 AWS CloudFront is the Content Distribution Network service from AWS. With a growing list of 37 edge locations, it serves as a vital component in e-commerce applications hosted in AWS for serving static content. By using CloudFront, one can deliver static assets and streaming videos to users from the nearest edge location and thereby reducing latency, round trips and also off loading such delivery from the web servers. 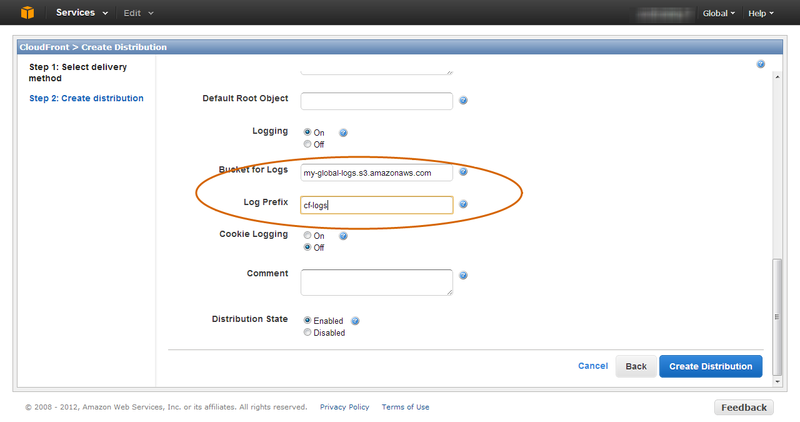 You can configure CloudFront to log all access information during the "Create Distribution" step. You "Enable Logging" and specify the bucket to which CloudFront should push the logs. 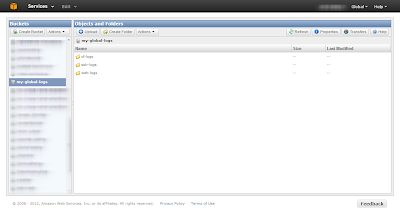 Once this is setup CloudFront will periodically start pushing access logs to this folder. In the next post, we will see how to configure the web tier to push logs to S3 and what are the different considerations. Published at DZone with permission of Raghuraman Balachandran , DZone MVB. See the original article here.